California is offering $11.7 million for research & development into smart grid technology, including microgrid controls, to help reach the state’s goal of 20 GW of renewable generation by 2020. Issued November 30 by the California Energy Commission, the grant solicitation focuses on smart technologies that make it easier to integrate large volumes of renewable energy onto the utility distribution system, increase grid reliability and shorten grid downtime. Money is being offered for R&D into three areas: 1) smart grid operation and management practices, 2) distribution automation enhancements, and 3) bi-directional distribution equipment, devices, and technologies. 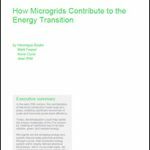 Microgrid controls fall into the second category, which seeks technology that can connect more renewables at the distribution level and provide greater control over the operation of distributed energy resources. Specifically, it focuses on distributed energy resource management system controls within energy-smart communities and microgrids, including smart inverters and smart meters, to manage renewable intermittency on distribution circuits. The commission is offering $4.5 for funding in the category that includes microgrid controls. Winners will receive a minimum of $500,000 and a maximum of $2.5 million for the distribution automation R&D. Any entity or individual can seek the funds except publicly-owned utilities. Bid winners are not required to offer matching funds, although those that do will receive extra points for their application. Applications are due Jan. 15, 2016. The commission expects to announce winners Feb. 15, 2016. Agreements are expected to run from June 30, 2016 to March 29, 2019. The commission will hold a pre-application workshop December 11, 2015 at its Sacramento offices. The grant application is available on the commission’s website. See grant GFO-15-313. Track funding for microgrid controls and other microgrid technologies by subscribing to the free Microgrid Knowledge newsletter.